/ How Safe Is Your Architecture Firm From The Next Recession? There’s a saying I’ve heard about the ocean – once the tide goes out you can see who isn’t wearing any swim trunks. Well, the tide went out in early 2008 – the economic tide that is. Businesses were hit hard, especially architecture firms. And when the tide went out, a lot of architecture firms were left running around looking for some trunks. Wiser, older architects told me they had seen this happen before – in the early 80′, in the mid 90′s, and the early 2000′s. Unfortunately, it doesn’t take a devastating economic collapse to create a precarious situation for an architecture firm. 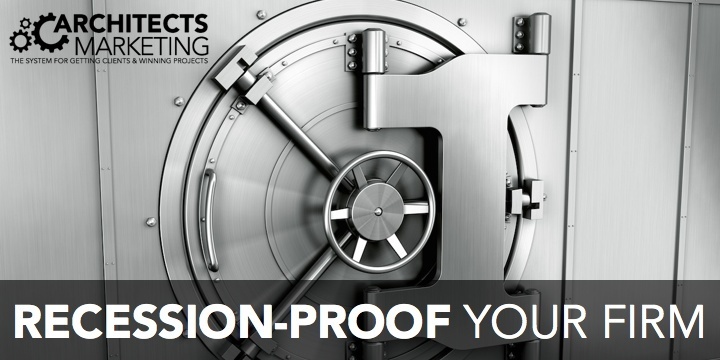 Is it possible to completely recession-proof your firm? With foresight, things can be done to lessen the impact of the ups and downs that plague our industry. Since this is a site about finding and attracting the right kind of work, today our topic is about the first step to make that happen. 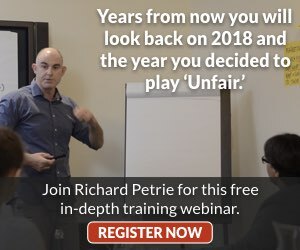 Do you currently have an effective system to bring in new project leads and clients? Or are your marketing efforts haphazard and inconsistent? Are you are spinning your wheels, wondering where you can invest your resources for maximum return? A “system” is defined as “a set of principles or procedures according to which something is done; an organized scheme or method”. An effective lead generation system works like a well-oiled machine, bringing in a steady flow of good clients. To get a steady flow of leads, people (and businesses) need to know you exist, and they need to know what you have to offer. So how do they find you? How many lead sources do you currently have that feed leads to your firm? The most tried and true method is word of mouth. But firms that relied on word of mouth alone ran out of options when the work started to get scarce. The more lead sources you have, the safer your firm is from the “lack of work” beast. This is where an effective marketing system comes into the equation. 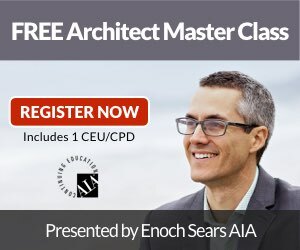 Richard Petrie, the #1 marketing consultant for architects says that architects should have a minimum of 10 lead sources. And more is better. A lead source can be a job-site sign, past clients, or a newsletter. It can be an industry partner, consultant, or even another architect. Of course it needs to be done right to be effective – more on that in a later article. Take a moment for a quick checkup. Mentally, or on paper, list out the different avenues that you currently have that bring you leads currently. Do you currently have a minimum of 10 lead sources for your firm? If not, can you add to this list? The kinds of lead sources you need will vary depending upon your market area and industry focus. It is impossible to explore every possible lead source or effective way of generating new business in this article. However, we will continue to share ideas and training materials to help you can implement an effective ‘marketing machine’ for your firm. What are your primary sources of leads? Leave your thoughts in the comments below! 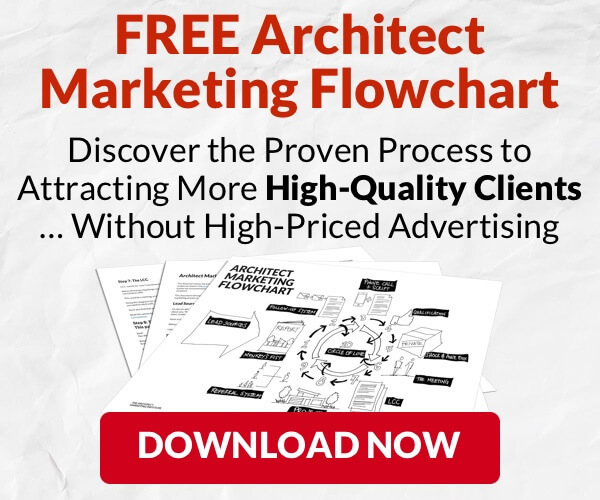 How does Architect Marketing work? How do we here at the office get started and what is the next step?